Greetings to our friends, supporters and prayer partners, and welcome to this second update for 2019. Thank you for your continued support and prayers for our brothers and sisters in South East Asia who serve the Lord under the Advent Christian banner. Once again, the past six weeks or so since my last update have brought many matters for which we can thank the Lord, and there is much that we need to continue to pray about. It’s leading up to summer in India, and May is the annual summer vacation break for schools, the courts and many other businesses and activities. This means that most of the churches of the Advent Christian Conference of India and the Fellowship of Blessed Hope Churches will be preparing for Vacation Bible Schools. Once again this year, Yesuway Jeevan Mission has contributed a substantial amount of funding to assist with the costs of these activities, which normally extend over 5 or 6 days; which usually involve the provision of a hot meal each day for those attending; considerable preparation for activities which usually include handcrafts of some kind, and the training of teachers. It is not too early to start praying that the Lord will lead suitable people to be available – leaders, teachers and helpers – and that the Holy Spirit will use the opportunities that the churches have to touch the hearts and lives of many who attend. There are likely to be in excess of twelve or thirteen thousand children and young people in total attending these classes and if past history is anything to go by, a large proportion of those who attend will be from Hindu homes, as their parents use the VBS activities as school holiday activities for their children, and to ensure that they get a good meal for each day! Chennai normally experiences very high temperatures (40+ degrees Centigrade) during the summer, months, and even in the best of years as far as rainfall is concerned, the supply of water is something that needs careful management by the city corporation. This summer will be a particularly difficult one for the city as the October/November 2018 monsoon rains brought 27% less rain than normal, and the city’s reservoirs are already at a very low level. The lack of monsoon rains also means that the underground water table is very low and Mission Manager Immanuel advises that the well on the compound is virtually empty and their deep-well bore only pumps water for a few minues at a time before running dry! He has installed some extra, new water tanks and ordered bulk supplies from the City Corporation several weeks ago, but as yet has had no delivery. Please pray that the Lord will provide sufficient water for the city as a whole and for the families who live and work on the compound. We don’t normally need to get involved in politics, but the present Central Government of India, the BJP – the Bharatiya Janata Party (translation: Indian People’s Party) – has a commitment to Hindutva (an ideology seeking to establish the hegemony of Hindus and the Hindu way of life) and its policy has historically reflected Hindu nationalist positions and has not been kind (to say the least) to Christians and those of any other faith but Hinduism. Elections for a government for the next 5 years will be held throughout India from April 18 to May 23, with different states and areas voting at different times. Freedom of religion in India is a fundamental right guaranteed by Articles 25-28 of the Constitution of India, but in practice that has not been the case in recent times. Please pray that these elections will bring a government that is not anti-Christian but is fair to Christianity and all other faiths. I have been asking you to pray for the sale of the Guindy land for many months, even years – thank you for continuing to pray. Please continue to pray regularly as we slowly – very slowly at times – take one step at a time towards the completion of the sale. There is still one court case – brought by a senior member of the Advent Christian Conference of India – that is holding up what will be a very major and critical step in concluding the sale, and the wheels of the justice system in India most often turn very slowly. Once this case is determined we will publicly call for bids for the property, and we presently have two parties who are very keen to buy the property immediately the court gives its decision. The proceeds of the sale will bring the possibility of future, financial stability of the Advent Christian Conference of India, and the significant extension of the ministries of Yesuway Jeevan Mission and its ministry partners throughout India. 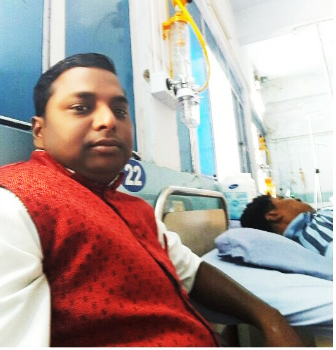 We are ministering the healing power of Jesus Christ to the patients of our area hospital. “1. Pray for qualified and well-trained missionaries to come and plant churches and to become leaders in the city of our Mission’s State. 2. Pray for evangelists to reach North Odisha and for church multiplication. 3. 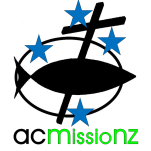 Pray for short-term missionaries to come and evangelize the young people. 4. Pray for greater networking among churches and believers. 5. Hindus are dedicated to the goddess of destruction and death-idols. Pray for the revelation of Jesus’ life and power to break through the darkness. 6. North Odisha has a very small population of Christians. There are a very small number of churches for the population size. Pray for the Christian believers to be strong. 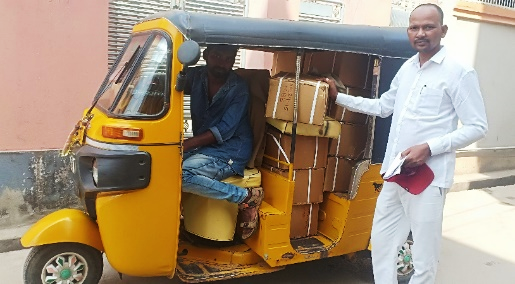 Pastor Balu Nayak, a YJM ministry partner at Mahabubabad, in Telengana State, received an autorickshaw full of 600 Bibles in the Telegu language in late February, which we had been able to purchase from the Bible Society of India with funds sent from ACGC in the United States. He has wasted little time in beginning to distribute some of them! Please pray for his ministry and for these Bibles as he distributes them, that in the power of the Holy Spirit they may be used to bring many to salvation in Jesus Christ. 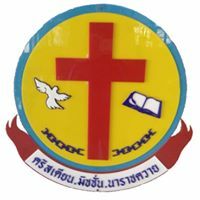 The leaders of the Christ for all People Church Association, of which Christian Mission is a founding member, met for their regular meeting for fellowship, prayer and planning on 18 March at the Kudsumarn Church in the Sakhon Nahkon province. All six member churches were represented, and Christian Mission was represented by Sister Maeo and Brother Boontaa. 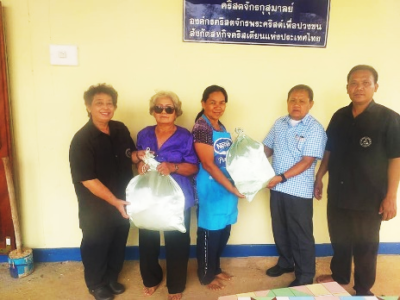 Christian Mission’s two food packages for the month were given to needy members of the Kudsumarn church. 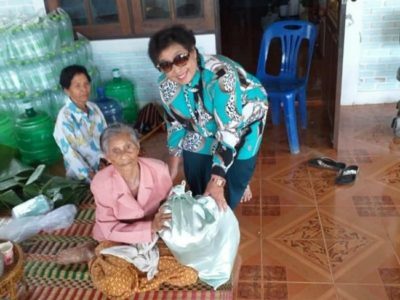 The February Food Parcels were given to needy folk in Ban Naratchakwai. 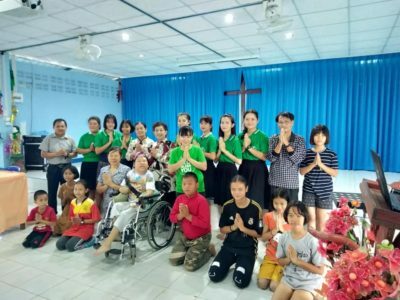 Please continue to pray for Maeo and Brother Boontaa and for the six girls/young ladies who make up the Leadership Team and for Ploy who leads the team. Thank the Lord for the time and effort they put into planning and supervising every aspect of the ministry. 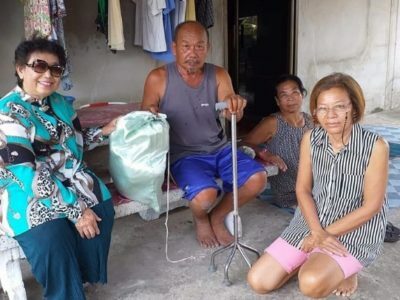 The team as a whole is so capable and able to attend to the morning service activities that Ploy and Parn were able, on the last Sunday of March, to travel to Bangkok to spend time with an Aunty of Parn and attend her church. 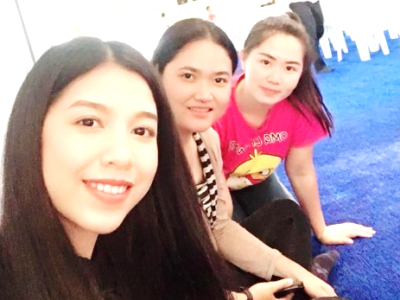 They were also able to spend some time with Bee – who was a “Mission Girl” and who now lives and works in Bangkok. Please continue to pray for Sister Ruth, Brother Wilfred and their small group of faithful, Advent Christian believers who gather weekly on Sundays for worship in Ruth and Wilfred’s home in Kluang and in members’ homes for Bible study and communion during the week. 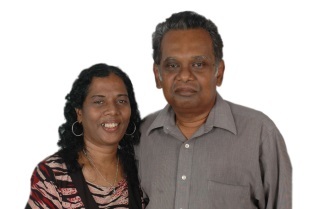 Christian ministry is not easy or without danger in Malaysia, but Ruth and Wilfred faithfully continue their one-on-one ministries of friendship, practical assistance and counsel to friends, neighbours and other contacts. Ruth and Wilfred were invited to attend the Kluang Combined Churches Prayer Meeting on March 13, 2019. It was well-attended by the pastors, leaders and members from various denominations. Wilfred and Ruth were also requested to stand in the line-up to pray. One hundred and fifty people attended the prayer meeting. Wilfred is in the middle of the line-up wearing a yellow shirt and Ruth is 4 persons to the right in the picture from him. Please continue to pray for the leaders of the Advent Christian Conference of Myanmar, and for the ministries of their organisations. We were able to recently send some funds to be distributed to the church planters which each of them has in other parts of their country. They gathered at the home of Pastor Kenneth to receive the funds and pray for their ministries. 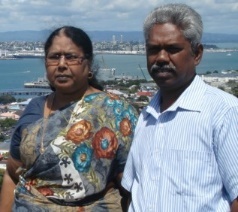 Pastor Kenneth, whose organisation is Gospel for Myanmar. Pastor Timothy, whose organisation is Advent Christian Church of Myanmar. Pastor Joseph, whose organisation is The Word Mission. 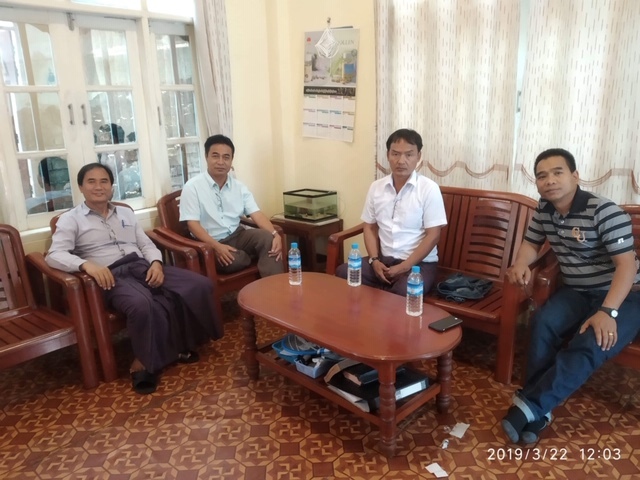 He is President of the Advent Christian Conference of Myanmar for 2019. Pastor David, whose organisation is Fellowship Bible Church. Please continue to pray for their country, asking the Lord that its governance may move to true democracy. for Vice President Henry Van Thio, who is a Christian, of Chin ethnicity (the Chin State is 90% Christian) and is the first Christian to attain the position of Vice President in the history of the country. Please pray for this brother, that his position and influence will result in less pressure on the Christian population of Myanmar and Christian ministries. Once again, my sincere thanks for your partnership in the Lord’s ministries in South East Asia. 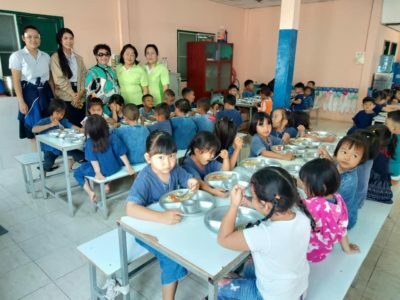 Thank you for your prayers for and encouragement to and financial support for our brothers and sisters in the LORD in South East Asia who are so committed to sharing the message of LIFE IN THE LORD JESUS CHRIST with their people. Your support means a great deal to them. Please pray that they will all know the leading, guiding and blessing of the Holy Spirit on all their ministries and that they will have great joy in their service for the LORD as they see fruit for their labour.